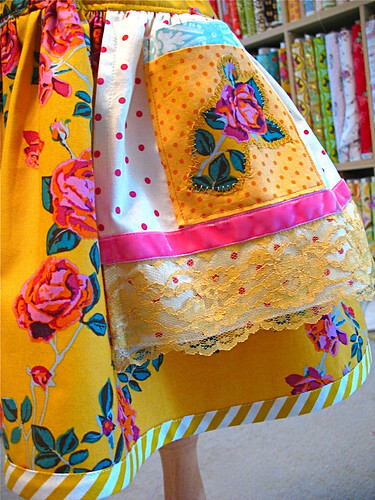 A little bias is a good thing - Stop staring and start sewing! Way better than the picture I took. So we are ending up using both photos and drawings and hopefully that will make it easy to understand. In the pattern I share one of my favorite skillz. I love making my own bias tape. It's one of my favorite ways to spruce up my skirts and it's so much prettier and cheaper than the store bought stuff. 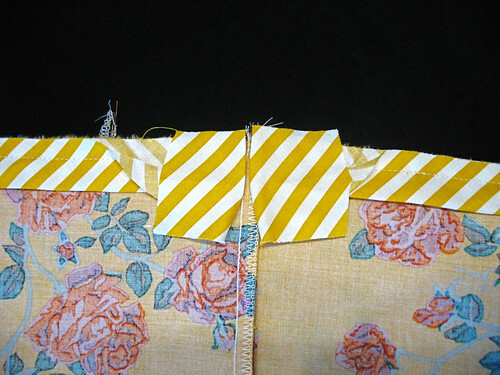 You can use it on any hem and you will love the way a little 1/2" fabric accent can make something so much snazzier. Let me show you how I make mine! 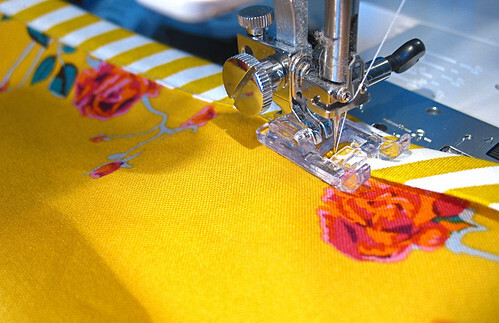 Pick a fun fabric that looks great with your skirt (or pants, or blouse) fabric. 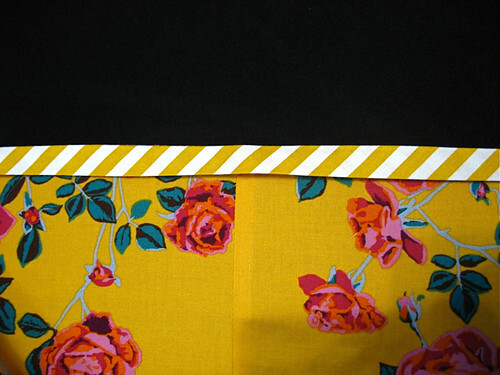 Don't be afraid to pick a "loud" fabric since you will using such a small amount. I really love stripes for this because of the way they tilt (I think I've mentioned that before but it bears repeating I guess). Cut enough 2" strips on the bias (at about a 45 degree angle from the grainline) to equal the distance around the hem you are embellishing. 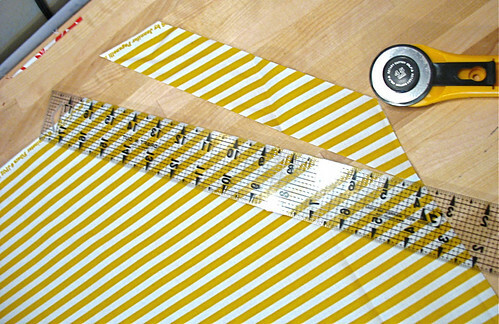 My skirt is around 60 inches around so I need 60 inches plus enough for seam allowances (so 70" give or take a little). 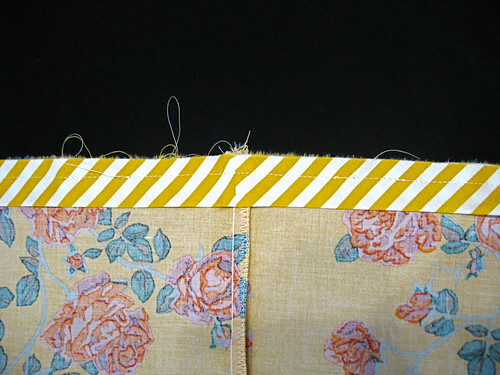 Now put your ends together and stitch your pieces together like this. This is what it will look like when you open it out. Press your seams open and fold it in half making sure your raw edges are even with each other. 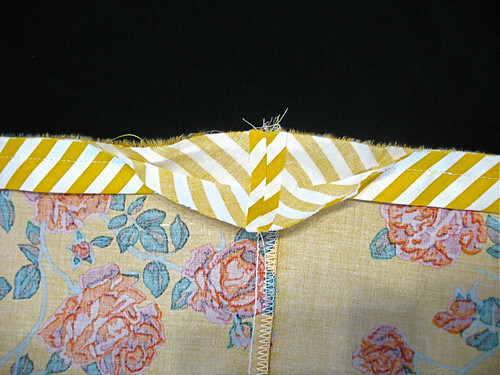 Pin it to the wrong side (yes, I said wrong side) of your hem. Leave a 4 inch gap unsewn so you can finish your bias tape to fit perfectly (use a 3/8 inch seam allowance). 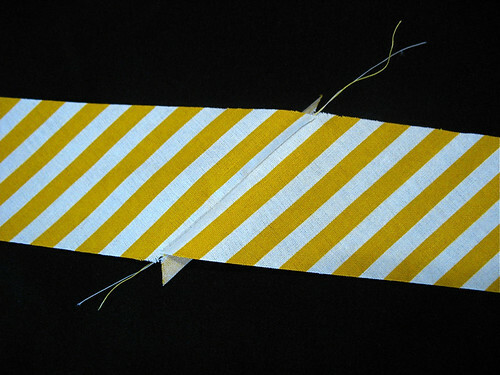 Now unfold the bias tape and fold the end over so the sides meet each other. Press well. Open up your folds and put the two end pieces together. 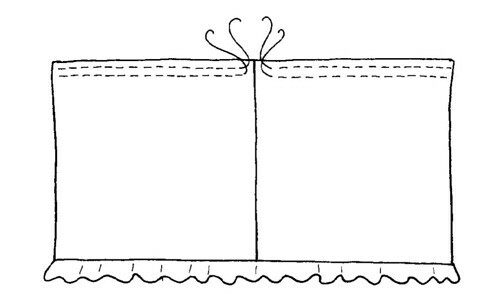 Put your fold lines together and use this as your stitching line. 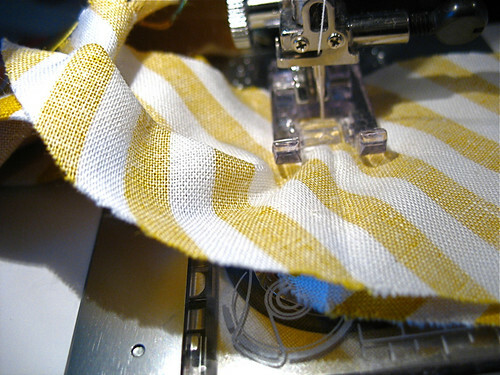 Trim your seam allowance down to about 1/4" and press your seam open. 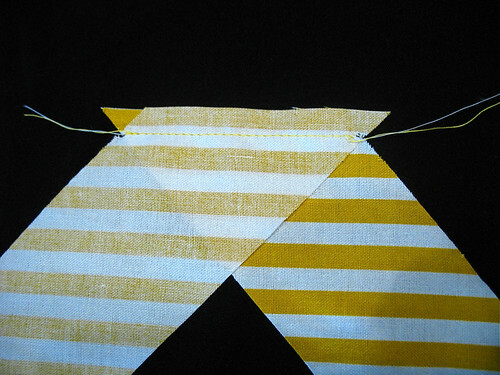 Fold and press and then stitch in place so it's sewn down all the way around the hem. 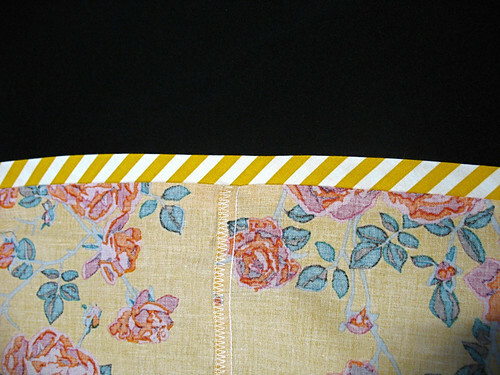 Press your seam open so it looks like this on the wrong side of your garment. 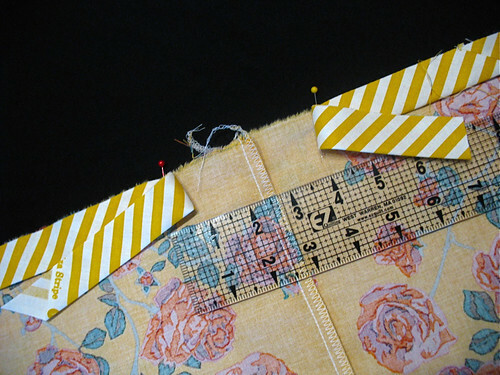 Press your bias tape down on the right side of your garment. Use lots of steam and pressure to get it nice and crisp. Pin it in place if you want. Stitch in place close to the edge. Don't go too fast or you'll run off the edge and that's annoying. Isn't this a great picture (minus the lint)? Here's my finished skirt. 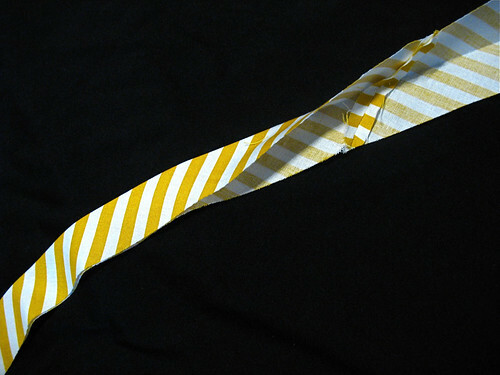 Doesn't that stripe look spunky? Addendum: Bijoux by Heather Bailey (goes with Pop Garden!) just showed up here. I feel so complete now!